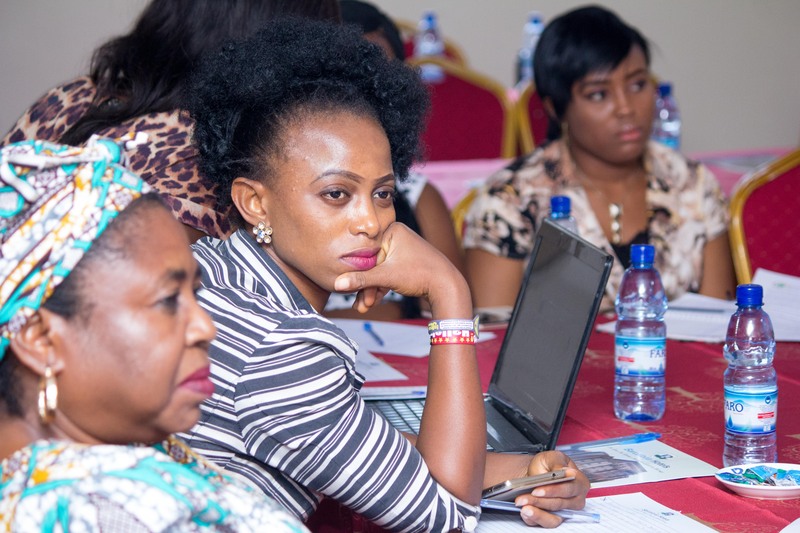 On October 17 2017, the World Wide Web Foundation and Paradigm Initiative hosted a Workshop on Closing the Digital Gender Gap and Mainstreaming ICTs into Women’s Rights Policy and Program Frameworks in Nigeria. 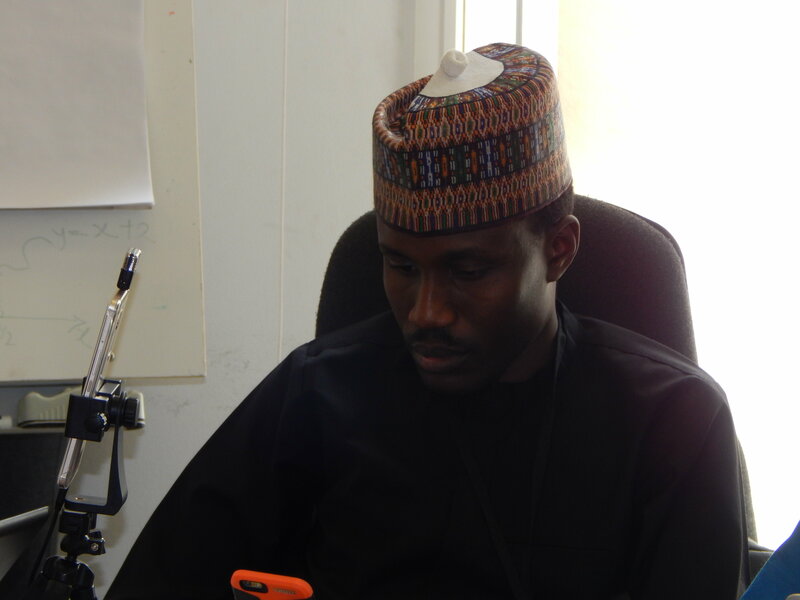 The Workshop, which held in Abuja, provided a platform for discussing issues of the gender divide in the ICT sector. The Nigeria Gender Audit Scorecard was also shared with participants. Dr. Ernest Ndukwe, former NCC Chairman/CEO and National Coordinator, A4AI Coalition Nigeria; made a presentation on ‘Internet Access as Driver of Socio-Economic Development for Women.’ Closing his presentation with a focus on the R.E.A.C.T (Rights, Education, Access, Content and Targets) framework, he called the Ministry of Communications (in absentia) to review and update the National Broadband Plan 2013 – 2018 (including timelines and budgets) for digital literacy initiatives and public access targeted at populations that are unconnected, especially women and girls in urban-poor/rural settlements. He recommended that an apolitical committee be set up and saddled with these responsibilities. The emphasis on such committee being apolitical is to avoid the truncation that usually occurs with the transition in governments, especially from one political party to another. He also spoke on the need to replicate efforts of the broadband plan to deliver fast, reliable and affordable internet access by federating units of Nigeria, adding that the States and Local Government must commit to take similar measures alongside the Federal Government for meaningful results. The Senior Special Assistant to the President on ICTs; Lanre Osibona, spoke on the role of ICTs in education, health, financial inclusion and safety for women when speaking out on sensitive issues that affect their welfare. He emphasized that perhaps the biggest of the barriers many women and girls face is illiteracy, and that inability to access or use technology further entrenches the limitation. He mentioned the role of web-enabled technologies as a critical tool to improve literacy for women and girls. He highlighted some efforts of the government in this regard, especially an effort to address the gap in STEM skills in primary and secondary schools through the Junior N-Power Program. He also emphasized the role of civil society organizations in monitoring and implementation of government’s ICT policies and programs by producing studies and reports like the digital gender audit scorecard annually. He noted that such monitoring and accountability tools would be useful to ensure implementation, and for calling out government agencies responsible where there are gaps in implementation and in meeting specific targets on initiatives and programs of government. He also touched on the role of government stakeholders in working together to ensure the right mix of regulatory initiatives and intervention not only needed to encourage greater competition among market players but also to encourage deeper penetration and use of ICT services (ensuring that regulation around breaking monopoly doesn’t stifle innovation, sending the wrong message to investors).  Exploring partnerships around existing government digital literacy initiatives able to reach rural/urban poor populations: e.g. The Office on SDGs working on initiatives to connect people in remote areas through various programs in its state offices nationwide.  Exploring partnerships on the NIGF-led auditing of government websites with a focus on relevant content and services as well local language information for women such as in health, rights, and other services that promote their wellbeing and empowers them.  Civil Society Organizations such as WAAW & HighTech Center for Women also discussed some of the policy challenges they face such as bureaucracy in government processes, and emphasized the importance of government partnerships in order to scale their activities. The workshop was very successful, and marked another milestone in the civil society effort to close the gender gap in ICTs in Nigeria. 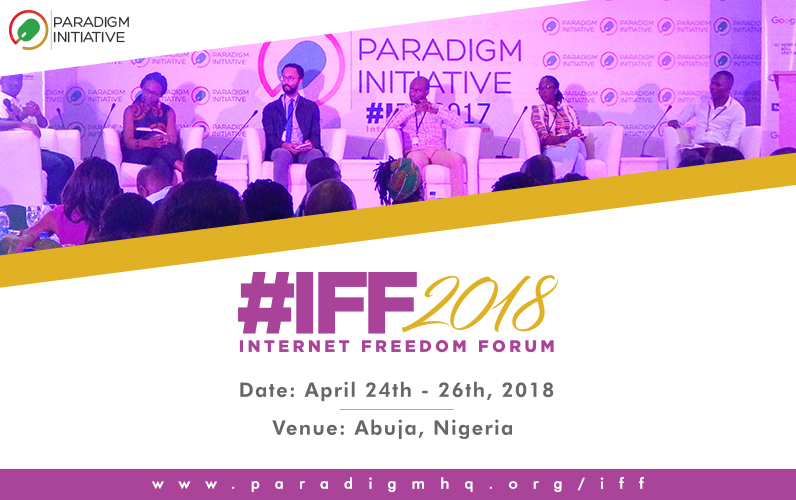 We are seeking to sponsor Internet Freedom Forum Fellows to attend IFF 2018. Our sponsorship will include travel support, accommodation and meals. Please send a copy of your CV and a 2-page report on the situation on Internet Freedom in your country of residence to hello@paradigmhq.org before November 30, 2017 by 12:00 PM (WAT). Only applications received by this deadline will be considered and only shortlisted applicants will be contacted. If you are yet to register for the 2018 Internet Freedom Forum holding in Abuja, Nigeria, please do so now. We have now received registrations from over 350 individuals from some 20 countries. Register here: www.paradigmhq.org/iff. We are still accepting proposals for side sessions for #IFF2018. In 2017, we had energetic and enlightening side sessions focused on a variety of critical digital rights issues affecting Africa. Some of the side sessions were planned by individuals while others were planned by organizations. Submit your proposal before the February 5, 2018, deadline. Don’t hesitate to contact us via hello@paradigmhq.org, for any clarification or registration help. Why Is the Akwa Ibom Government Jamming Internet Signals during Football Matches? On October 7, 2017, thousands of Nigerians and football lovers of all hues thronged the Uyo stadium in Akwa-Ibom state to watch the anticipated World Cup qualifier between Nigeria and Zambia. For the thousands of Nigerians who did make it to the Stadium, their euphoria was unlimited as they watched their beloved Super Eagles become the first team in Africa to reach the world cup finals in Russia. However, this sweet experience was blighted by a dangerous action of the state. Fans who wanted to share the historical moments with friends and loved ones on social media discovered to their surprise that they could not access Internet services within the stadium. Phone calls also became virtually impossible. For people who had only accessed these services just a few meters from the stadium, this sudden situation suggested the presence of a telecommunications jammer within the stadium premises. We have received credible reports that for the past five years, state governments in the region have been jamming internet signals inside any stadium where the Super Eagles play. This has been the case especially when big-name politicians are in attendance. Lolade Adewuyi, a journalist who writes for The Guardian and goal.com, reported that internet service jamming has been going on for five years since the time Super Eagles began playing international games in Calabar. When the Uyo Stadium became the main home of the Super Eagles two years ago, the service denial during football game also moved to Uyo, according to Adewuyi and other football fans who spoke to us. Adewuyi lamented that the internet outage affected his work as a journalist who works primarily online. 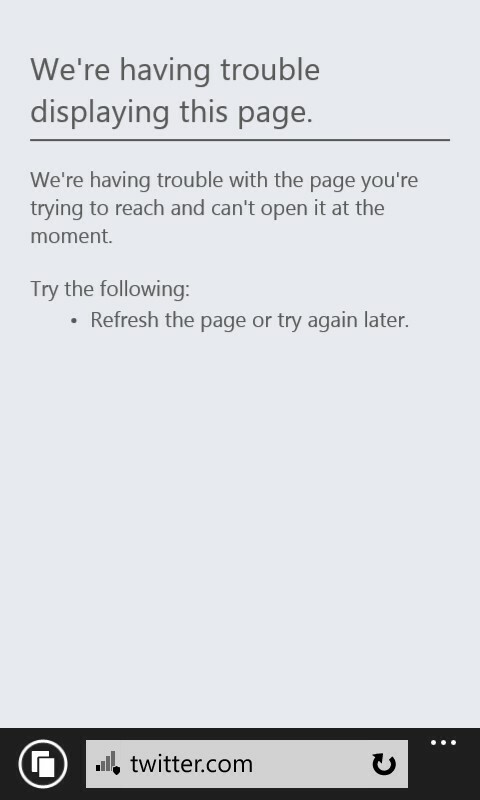 His and his colleagues’ ability to update content online was rendered useless. “Covering Nigeria senior men’s national team matches has become a terrible headache. You can work with your internet-enabled mobile phones until a few minutes to the beginning of the game when the governor of the host state (Akwa Ibom) arrives into the arena. 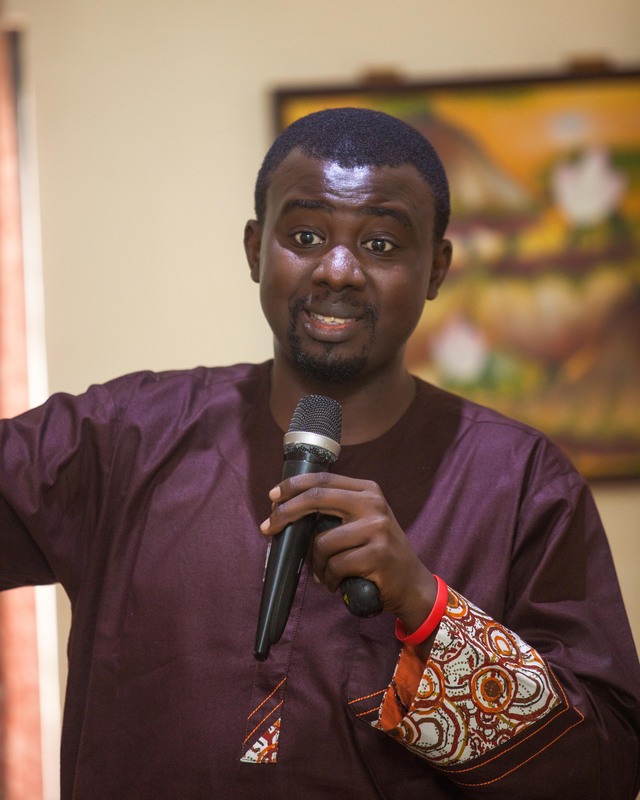 Once he is in, the data network signals become jammed and one is unable to make any meaningful contributions to social media discussions during that period,” Adewuyi added. While journalists have reportedly petitioned Confederation of African Football (CAF) and Fédération Internationale de Football Association (FIFA) on the jamming internet services and other telecommunications signals in Uyo stadium, the state government has apparently not bulged and continues to deny thousands of football fans internet services. This is undoubtedly a great abuse of the rights of the citizens who attend these events and who are forcefully disconnected from the world. What remains unclear is why the Akwa Ibom state government under Udom Gabriel Emmanuel is engaging in what is tantamount to flagrant abuse of citizens’ rights. We are aware that severing telecommunications services was a tactic used in the fight against Boko Haram in the northeast, in a bid to prevent the remote detonation of bombs. However, Uyo is a peaceful and calm city, and there can be no basis for this service disruption, which is a denial of the fundamental rights of Nigerian citizens. Relevant security agencies and the state government must come to terms with the fact that an important developmental service like the Internet cannot just be turned off at will. World Cup Qualifiers where Nigerians have simply come out to enjoy the beautiful game of football, should never be a venue for freedom of expression denials such as internet disruption. For more information on this statement, please send a mail to hello@paradigmhq.org. 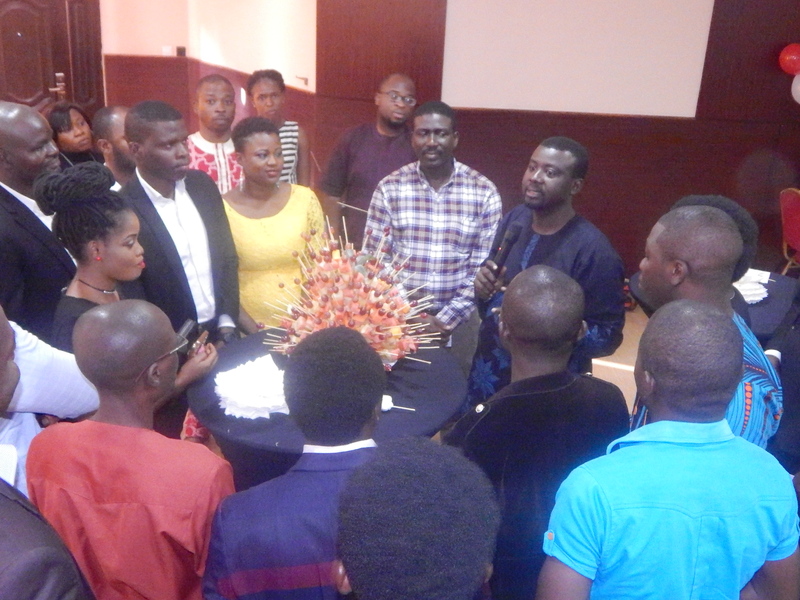 In a show of appreciation to its partners and volunteers for the AjegunleLIFE and Techtiary Programs, Paradigm Initiative feted them on Friday 15th October 2017 at a cocktail held at Golden Tulip Hotel, Lagos. 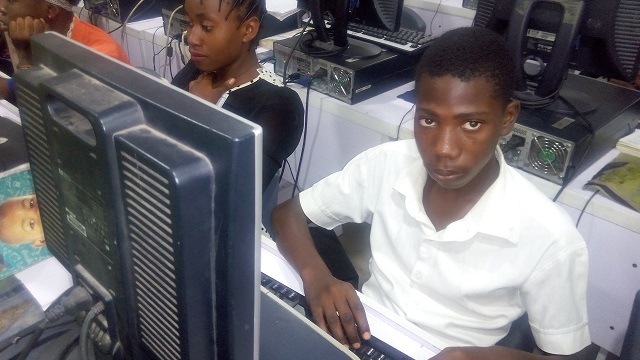 According to Tosin Abolaji, a program manager at Paradigm Initiative, “our digital inclusion programs, Techtiary and LIFE, leverage the support of a pool of volunteers and partners who offer their talent, time and resources. This is an integral of part of what we do in providing better livelihood through the programs. At the event, Paradigm Initiative’s Director of Programs, Tope Ogundipe opened the evening with a welcome note. “Without the support of volunteers, the LIFE program would have folded up long ago. We are grateful to you all; your contribution to the program has led to the empowerment of hundreds of youth. We are here to celebrate & thank you,” Ogundipe enthused. This was followed by a Thank You speech from the Executive Director, ‘Gbenga Sesan who commended the contributions of the partners and volunteers make in supporting and serving. After thanking our partners and volunteers, there was a networking session which allowed the attendees engage and get to know each other. Paradigm Initiative recognized each volunteer and partner, acknowledging their service with an award of voluntary service and partnership. – Section 37 of the Nigerian constitution. Nigeria’s constitutional promise of data protection is far from being fulfilled. This is especially true for transactions involving the transfer of personal data from individuals to governments and businesses. Despite the increasingly important role that data plays as the currency of the country’s emerging digital economy, Nigeria does not have a Data Privacy or Data Protection law. Even though Nigeria lacks a robust data management infrastructure, several government agencies and sector regulators collect citizens’ private data with little respect for their rights. Not only is the same data collected by different agencies, citizens have little control over what is collected, how it is used and have no clear course of action should their data be abused. The Nigerian Communications Commission, Independent National Electoral Commission, Nigerian Immigration Service, Central Bank of Nigeria, National Identity Management Commission, Federal Road Safety Corps, and other bodies routinely collect or oversee the collection of biometric and other data in their respective silos. Unfortunately, the conversation around the need to harmonize such sensitive data remains just that — a conversation. Various legislative proposals that could protect people’s data are making little progress, exposing citizens to the real risk of data disasters. Sensitive data including email addresses and phone numbers are frequently advertised for sale online. In one recent case, information of registered voters appeared online following a data breach. In an equally worrying example, sensitive health data processed by a bank on behalf of a hospital was made available online. In another case, laptops were sold still holding subscriber information that was captured during the SIM card registration process. In all of these breaches, the lack of a clear data protection law meant that those responsible for handling the data were not held accountable. However, there is hope for better data control and protection in Nigeria. Various government agencies recently resumed discussions on duplicate data collection, control and use. In addition, a Data Protection Bill passed by the House of Representatives is now being considered by the Senate. The Digital Rights and Freedom Bill, that has made good progress in the House of Representatives, also has a section on data and information privacy. Clearly, the problem we face is not lack of proposals but lack of follow-through. The National Identity Management Commission, responsible for the management of citizen data, must work with other agencies and stakeholders to secure the appropriate legislative environment that Nigeria needs for personal data protection and privacy. Citizens, who are new to the concept of data ownership, need to be made aware of their rights — including the proposals that could soon become the law of the land. Until a robust, enforceable law is in place, Nigerian citizens will continue to be denied the protections that their constitution grants them. For more insights from ‘Gbenga, follow him on Twitter at @gbengasesan. Article originally published by The Web Foundation. The 2017 Forum on Internet Freedom in Africa held in Johannesburg between September 27 and 29. According to the organisers, the Collaboration on International ICT Policy for East and Southern Africa (CIPESA) and the Association for Progressive Communication (APC), FIFAfrica is an annual assembly of discussions towards promoting a Free and Open Internet in Africa. I attended the forum as a representative of Paradigm Initiative and I share below some important insights I learnt during the 3-day Forum. How Internet Refugee Camps helped Cameroonians during shutdown: Have you ever wondered how people managed to survive the 93-day internet shutdown in parts of Cameroon? The keynote speaker at the Forum, Rebecca Enonchong told the gathering about the resilience and innovation of the people of Cameroon who were denied internet services for more than three months. Internet refugee camps were created in areas where there were internet services. People would travel a great deal of distance to make use of internet in those centres. Sometimes they would give their phones to others travelling to those places so their pending messages and emails could be received. As Ms Enonchong, a tech entrepreneur, shared this experience, I began to appreciate more the centrality of internet services to our lives. It is important that no government should have the right to turn it off just to deny citizens their freedom of speech. Africa as a country: Over the course of several panels with stakeholders from different countries in Africa, I noticed several similarities in many of the stories the panellists and audience shared. These similarities were so strong that it was possible to mistake a discussion on terrible tech policies in Zimbabwe for one on Tanzania. The only major differences are the actors and the countries concerned, but other details of attempt to stifle dissent, to regulate (read: emasculate) civil society, the use of national security as a defence for internet shutdown or regulation, all these details stand. When it comes to the internet, Africa may as well be a country where all the provinces compare notes on how to deny their citizens and residents inalienable rights. Just look at the number of African countries that have used their recently passed Cybercrime laws to persecute dissenters. Look at the number of African countries that have embarked on comprehensive and multiple data capturing of their peoples without a decent data privacy law and framework. Look at the number of African countries that have passed or are about to pass an NGO regulatory bill, something Kenya has shown to be quite effective in muzzling the voice of an NGO the government does not like. Platform and collaboration remain paramount: For digital rights advocates to be able to put up a decent fight against governments bent on discarding digital rights, there is a need to create, sustain and expand platforms for sharing of ideas and incubating collaborative efforts. Platforms like FIFAfrica and Paradigm Initiative’s Internet Freedom Forum must be sustained and expanded to ensure sufficient coverage of all countries in Africa. In addition, Francophone Africa deserves more attention than they are currently getting and there is a need to nurture platforms in those countries that are currently under-covered. Closely related to that is the issue of collaboration between organisations with interest in digital rights and inclusion. The impact of collaboration could be seen in the way organisations came together to protest against internet shutdown in Cameroon and Togo. Collaboration also extends to sharing of information, ideas and leveraging others’ resources and expertise instead of reinventing the wheel. This is already happening to an extent, but it is important to improve on the system and platforms that enable collaboration. As Delta Ndou, a Zimbabwean journalist and digital activist, said at the Forum, advocates must also learn to amplify their messages using traditional media, which remains largely the media of the elite and political leaders. That we are working on internet freedom does not mean the advocacy should be limited to online platform. 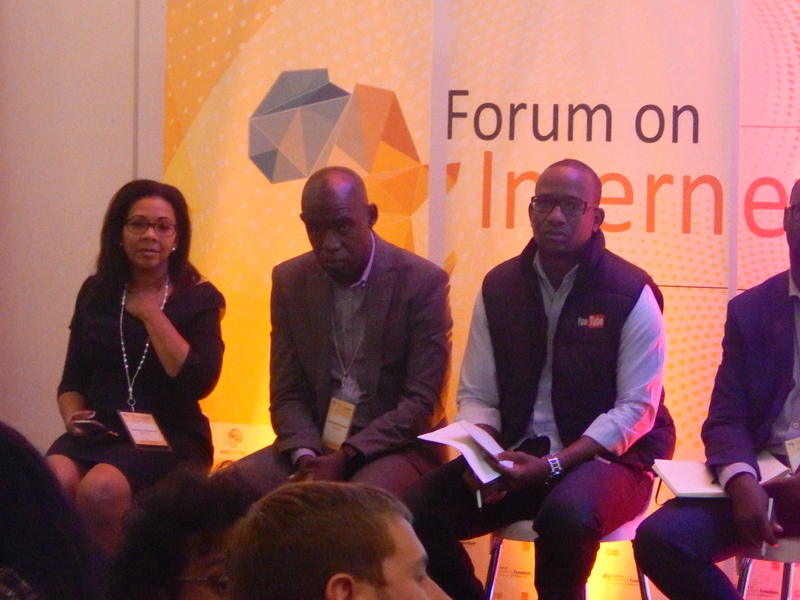 While the coverage of the Forum online was excellent with the hashtag trending throughout the duration of the Forum, the coverage in the traditional media of South Africa was far from perfect. This is heartbreaking because many important issues explored at the Forum would have benefited from media coverage. We must do more to collaborate with print and broadcast media to amplify our messages. This is important because oppressive internet policies affect human rights online and offline. Operators of traditional media should also be more receptive to collaboration on digital rights issues as a gag on online media will affect traditional media eventually. The Annenberg School for Communication’s Internet Policy Observatory has teamed up with the Collaboration on International ICT Policy in East and Southern Africa (CIPESA), Research ICT Africa, Kenya ICT Action Network (KICTANet), Unwanted Witness, Paradigm Initiative, and YoungICTAdvocates to organize the fourth regional Research Methods Workshop for Internet Policy and Advocacy in Africa. The workshop, taking place from Feb 26 to March 3 in Kampala, seeks applications from young scholars, activists, lawyers, and technologists working across Africa for an intensive practicum on using methodologically rigorous, data-driven, and contextually appropriate research for advocacy. The workshop seeks to provide a venue for stakeholders in the region to build collaborative possibilities across sectors, expand research capacity within practitioner and digital rights advocacy communities, and to provide the skills and know-how to strategically use research and data to advance advocacy efforts. Sessions will cover both qualitative and quantitative methods and will provide the space for hands-on activities and the development of individual and group research interests. 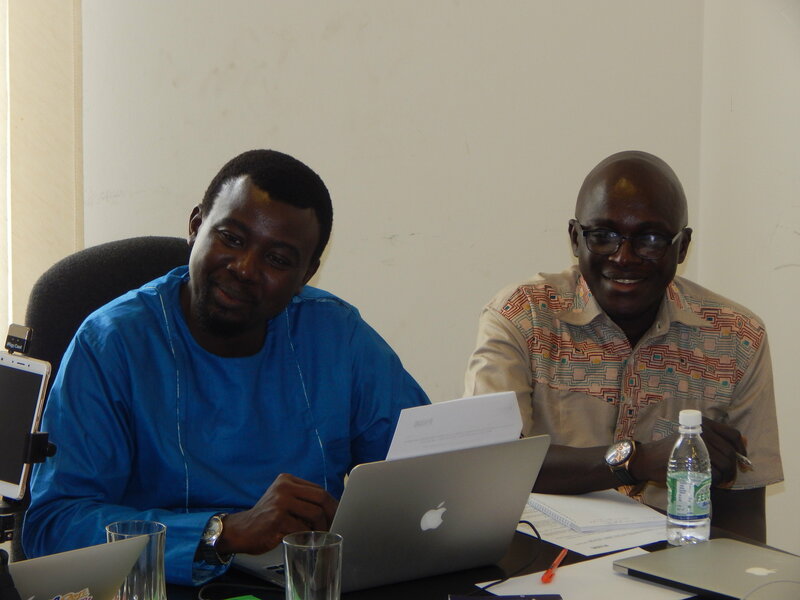 The workshop aims to create opportunities to connect scholarly expertise with advocates and improve working synergies between emerging African networks of civil society organizations, academic centres, think-tanks, and policymakers. 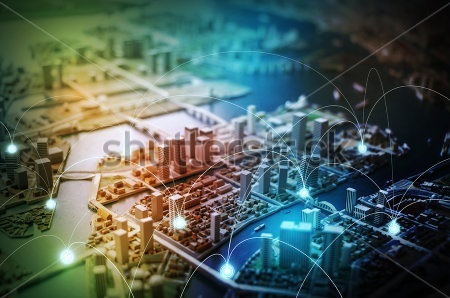 Sessions will include workshops on stakeholder analysis, conducting interviews, researching laws and regulations, social network analysis, network measurement, survey methods, data visualization, and strategic communication for policy impact. Applicants will be asked to bring a specific research question to the program to be developed and operationalized through trainings, group projects, and one-on-one mentorship with top researchers and experts from around the world. Several partial and full scholarships will be made for the most competitive applicants to participate. The course will be conducted in English and applicants should have high proficiency in English in order to interact with experts, lecturers and other participants who will come from diverse backgrounds. Please also note that we require all participants to have a laptop to use for the duration of the program. For more information about the program please click. For questions, please email Laura at lsh@asc.upenn.edu. To apply for the workshop, please fill out this form by November 10, 2017. We have expanded the Net Rights coalition beyond Nigeria to become pan-African, this is in order to strengthen our collective voices for the respect of digital rights and addressing challenges in these areas of interest which include: freedom of expression online; data security and privacy; surveillance and transparency; business and human rights and more importantly to make the coalition more formidable to address challenges on Digital Rights. We believe there are a lot to learn from experts and advocates working on Digital Rights issues across various African countries. Therefore, the expansion means that we are now more formidable to deal with Digital Rights challenges in Nigeria and Africa as members from across various countries in Africa share their experiences and challenges. On August 25, 2017, members of the NetRights coalition gathered in Abuja, Nigeria to discuss strategies for the passage of the Digital Rights and Freedom Bill. The Bill is expected to be read for 3rd reading when the Nigerian National Assembly resumes for its recess in September 2017. Therefore the meeting explored ways to ensure the passage of the Bill when it is ready for the 3rd time on the floor of the National Assembly. The Coalition discussed several strategies to be implemented to achieve this. The strategy discussed includes; Media Engagement, Leveraging on existing network, Rally, Infographics, and advocacy visits to members of Nigeria’s House of Representatives. Paradigm Initiative collaborated with the Presidency Office on Digital Engagement (PODE) to host a roundtable on Digital Engagement and Rights on July 20, 2017. The Roundtable was attended by 37 participants ranging from civil society actors and more of government agencies. Few security agencies were represented namely the Nigerian Army, the Economic and Financial Crimes Commission (EFCC), The Nigeria Police Force (NPF). 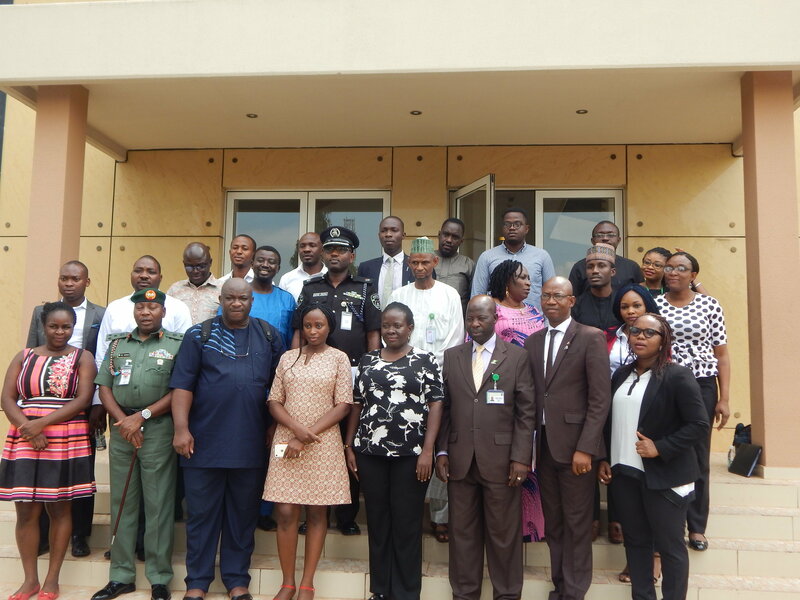 Some government institutions that attended were National Information Technology Development Agency (NITDA), The Ministry of Communications (NCC), National Human Rights Commission (NHRC), and Special Assistants to the President/Vice President on Media, Special Assistant to the Vice-President on Rule of Law. Civil society representatives were Media Rights Agenda, BudgIT, PPDC, SERAP and the co-hosts, Paradigm Initiative. There have been three policy briefs are titled I. Upholding Digital Rights in Africa II. Broadband Access in Nigeria; Not broad enough, Not qualitative enough III. Status of Surveillance in Nigeria: Refocusing the Search Beams released on August 30, 2017. Stakeholders at a one-day roundtable talk on digital rights and engagement have called on government agencies to fully embrace digital tools in their engagement with the public. The roundtable, themed “Improving Government’s Approach to Digital Engagement & Rights”, held on Thursday, July 20, 2017, at the New State House Auditorium, Abuja. The event was a product of a partnership between Paradigm Initiative and the Presidency Office of Digital Engagement (PODE). In his opening keynote, the Executive Director of Paradigm Initiative, Mr. ‘Gbenga Sesan emphasised the need for government agencies to fully adopt digital engagement in their communication, while also recognising the need to ensure the protection of citizens’ rights. “There will always be tension between protecting digital rights and security concerns. However, information sharing can help reduce this tension. By engaging citizens online and providing reliable information, a government can reduce the mutual suspicion and tension between her and the citizens,” Mr. Sesan said. Mr. Tolu Ogunlesi, Special Assistant to the President on Digital and New Media, and Head of PODE, introduced the framework of a Social Media Policy his office was working on. “Government has started to ask itself questions on effective ways of sharing information with the public and the media. For example, “Why should we continue to share paper statement when we can push out the message in a video format? As a government, we need to be open. We need to take information to people where they are and how they want it. This kind of thinking is what is behind the design of this policy and we are consulting stakeholders within government to ensure its effectiveness,” Ogunlesi explained. “The planned Social Media Policy is built on four pillars – Policy, Engagement, Education and Response (PEER). The Social Media Policy will require all government agencies to maintain social media accounts,” he added. An official of the Economic and Financial Crimes Commission (EFCC), Mr. Tony Orilade lamented the spate of misinformation and fake news on social media, which further erodes people’s confidence in law enforcement agencies. 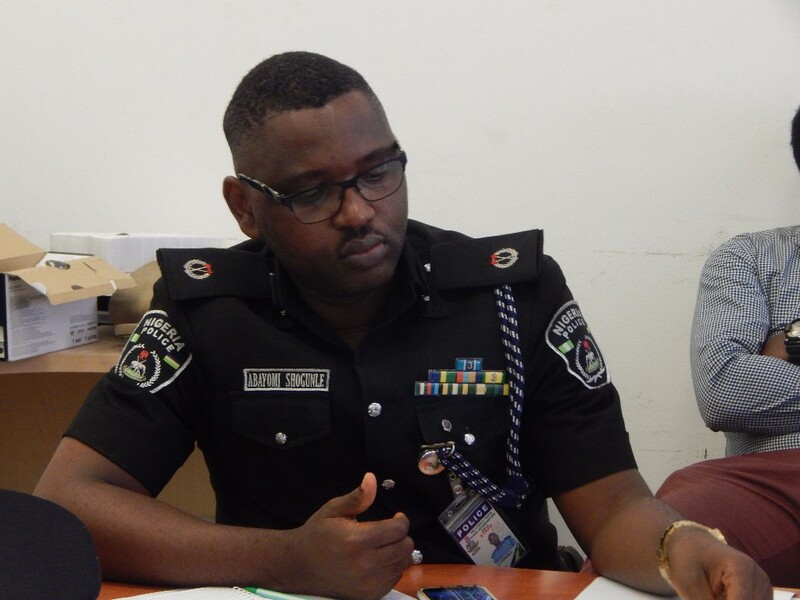 The duo of Mr. Abayomi Shogunle, Head, Police Complaints Rapid Response Unit (PCRRU) and Brigadier General SK Usman, Director, Army Public Relations, echoed Mr. Orilade’s views and called on civil society to actively campaign against misinformation and misrepresentation by some users of digital platform. While responding to this call, Edet Ojo of Media Rights Action emphasised the need for government agencies to be transparent and forward with information in their bid to neutralise the impact of misinformation about their work. He cautioned agencies against “arresting citizens because they feel their reputation is maligned” as this would only further alienate them from the public. Participants at the roundtable all agreed on the need for greater collaboration and engagement between the Government and law enforcement agencies, Civil Society Organisations, Media and the public. The Roundtable talk was attended by Mrs Juliet Ibekaku, Special Assistant to the President on Justice Reforms, Mrs Stella Jibrin, Ag. Director (Research and Documentation), Nigerian Press Council, Zakari Mijinyawa, Office of the National Security Adviser, and Lanre Akande, Senior Special Assistant to the Acting President. Others include Dr. Idris Yelwa (NITDA), Bashir Ahmad, Personal Assistant to the President on New Media, Tijah Bolton-Akpan of Policy Alert, and Adebisi Alokolaro of Enough is Enough, Nigeria. Paradigm Initiative has now commenced its LIFE@School program in Ajegunle. We inaugurated the first LIFE@School Club at El Leonora College. The expansion is in line with our plan to impact more youth. LIFE@School gives us the opportunity to scale our LIFE program and empower more young people with Life, ICT and financial readiness skills. The 2017C class is now in session across our three centres. 90 youth were selected to participate in the last class of 2017. The DakataLIFE 2017B class continued in July. The students had training in web development. They also concluded teamwork on their business plans followed by a business plan presentation during which the team pitched their business ideas. Business ideas pitched included packaged spices, bespoke bags and poultry farming. On August 4th, the 2017B class had their graduation ceremony. 30 students met the criteria and were presented with Letters of Completion. It was a fun ceremony with drama presentations by the students and a surprise Skype call with the Program Manager. The LIFE Workshop took place on the 15th of July, 2017; the workshop was facilitated by Femi Taiwo, (Director of Programs, LEAP Africa) and he was assisted by Esther. The topic discussed was “Write to The Top”, which was to improve the communication skills of both students and alumni who were present at the work shop. AjegunleLIFE Team received fellows from Teach for Nigeria, whose visit was to see how activities at the Centre take place and to see the impact stories of the students attending the LIFE Program. In this quarter we concluded the 2017B session of our training where 35 out the 35 accepted into the training successfully completed the training and received their completion letters on the 4th August 2017. LIFE@School will commence with New World International Secondary School in October 2017. AbaLIFE will hold its annual Town hall meeting and Alumni forum coming on 10th and 11th November respectively.